Abstract: We are in an epidemic of burnout. The red-alert to burnout is stress. Burnout can be a healthy pause for change, in which new roles can be taken. This psychodrama workshop will address the purposes of burnout and how we, as psychotherapists, can focus on the recognition of unspoken messages. Enactment empowers the client to move on constructively. Dr. Baumgartner is a certified trainer of psychodrama by the American Board of Examiners. Dena served on that board for nine years and is a past president. 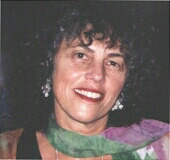 She is a fellow of the American Association of Group Psychotherapy and Psychodrama (ASGPP), receiving in 2004 the Collaborators Award from that organisation. She also received the J.L. Moreno Alumni award for Outstanding Psychodramatist in 1995 from the psychodrama section at St. Elizabeth hospital where she did an internship 1983-1984. She currently is serving her second elected term as a member of the board of The International Association for Group Psychotherapy and Group Processes (IAGP). Dena is a certified group psychotherapist as well as a licensed professional counselor and marriage and family therapist. She has been in private practice in Tucson, Arizona for 29 years. She founded and is the director of the Tucson Center for Action Methods and Psychodrama (T-Camp). She has been training and presenting nationally and internationally for 30 years. She is best known for her creativity and spontaneity.